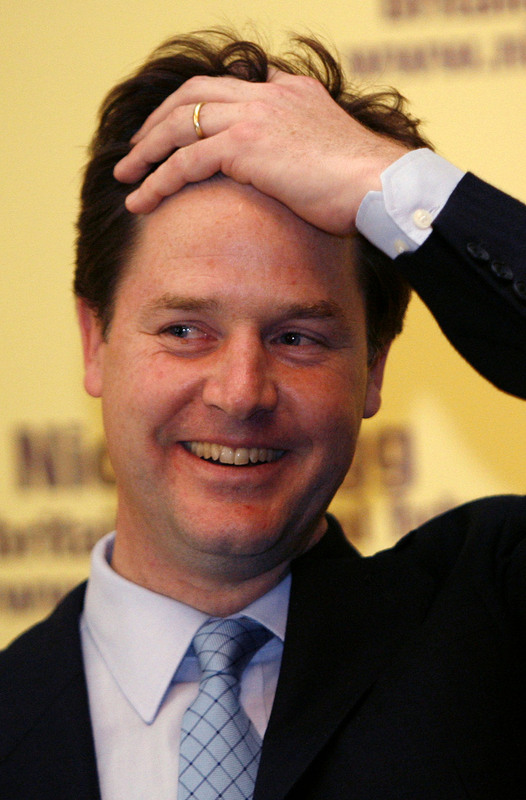 With friends like the Conservatives it's worth asking does Nick Clegg need enemies? The Deputy Prime Minister popped down to the Shepherds Bush Families Project for what, he no doubt believed, would be a apt photo shoot that underlined the points he had just made in a speech on social mobility. But, there was a problem with the venue as H&F's Conservative run Council are selling it off as part of their asset stripping programme. And there was problem with the project as H&F Conservatives have just removed £44,000.00 from the children's scheme. Even worse, there is a problem with Sure Start itself as the Government, Nick Clegg helps to lead, is questioning whether to keep Sure Start - so this project may not exist at all after March 2011. Andy Slaughter MP (Lab) was on the scene to explain this to the assembled media. The parents affected by the sell-off, the cut and the closure were there too. They asked the Lib Dem Leader about these policies. Unfortunately, Mr. Clegg was quite clearly out of his depth and incapable of answering their questions. Senior Tory councillors were on hand to add to the sense of chaos. You can watch the BBC news video of the event by clicking here. It's well worth viewing.